Homesick Mick has been causing waves in the media recently after his foray into the world of social activism. After hearing of Sir Philip Green’s extortion of the former BHS employees, Mick took it upon himself to speak on behalf of the little guys by launching a social media campaign against the billionaire tycoon, which he labelled #PhilipFreeFriday. The idea behind the campaign was to prevent people from shopping at Green’s stores during the black friday sales and to raise awareness of his deceitful actions. Nonetheless, having found success through this medium, Mick is now moving full throttle with his music and his latest release, ‘Prisoner To The Past’. Taken from the EP Black Hole Friday, ‘Prisoner To The Past’ is an alternative festive jingle that uses some insightful lyricism and catchy hooks. It might not be about presents and playing in the snow, but it’s refreshing to hear something a little different from the conveyor belt material we hear every year. The video for ‘Prisoner To The Past’ even features some very accurate lookalikes of ex-Beatles, Paul and John! Check it out here! After Trump was elected, American singer-songwriter Father John Misty released a number of political statements portraying his frustration and disagreement. However this is the first we have heard from the former Fleet Foxes member since his single release ‘Real Love Baby’ in July. The politically charged ‘Holy Hell’ explores the singer’s emotions and thoughts on the American election but being piano led gives the track a mellow feel. The mysterious singer disappeared of the face of the earth earlier this year when all forms of his social media were activated. There’s no confirmation whether Misty deleted the accounts himself but now he is back more than ever, posting political content constantly. There’s no information as to whether Father John Misty will be releasing more music but the occasional surprise tracks are just as good, feeding the fans’ addiction. ‘Build us a Dream’ has all the ingredients of a classic England football anthem. A truly high energy vocal , a very strong scent of football spirit and a really catchy sing-a-long chorus. The Turner Brothers believe it can inspire the England Team as it was the England Manager that inspired them. The Auntie of Anthony and Patrick Turner is Roy Hodgson’s sister. A family gathering at her house is inevitably football orientated with regular discussions on Roy’s team selection and tactics for the forthcoming European Championship. It was whilst they were at their Auntie’s that Anthony dreamt that he was watching England win the Euros and all the England supporters were singing a song they had written. Anthony told Patrick about the dream and they decided to produce a song as they believed it was a sign. Every supporter wants to be sitting in the stands watching their favourite team play their best and some may then be inspired to write an England anthem but not many can say that the song was conceived on Roy’s sister’s sofa! Anthony explains how the brilliant anthem came to life: When you’re surrounded by pictures of Roy Hodgson and listening to fascinating anecdotes of his career, it’s not surprising I dreamt about England winning the Euro, but they were chanting a song that I had never heard before. The next day all I could remember when I spoke to Patrick was some of the melody and ‘Come on England’ . Patrick suggested that we try and realise the vision, by writing a song called ‘Build us a dream’. Though this track is undoubtedly a rather amusing piece in terms of its origin, The Turner Brothers are on a very serious musical journey having been voted ‘Crowds Favourite Band’ at Hogsozzle Festival both in 2014 and 2015 they are taking on the stage at this year’s Victorious Festival alongside Annie Mac and Manic Street Preachers. Currently splitting time between their Northern Italian hometown of Padova and the UK’s capital, songwriters Vidal & Curma are a duo making a name for themselves on the London circuit. Playing in some of the most prestigious independent music venues in the city, their reputation has already won them a residency at the revered Proud Camden, where they were invited for repeat showings by popular demand thanks to the innate energy and sense of fun in their songs. Their music boasts a loose, anarchic freshness without compromising on quality, giving an acoustic twist on the indie likes of The Libertines, The Strokes, Mac Demarco, and Velvet Underground to name a few. But perhaps their closest comparison is less well known – both Vidal and Curma are huge fans of Django Reinhardt, a gypsy guitarist from Belgium who was active from the 30s to the 50s. Reinhardt single-handedly invented the gypsy-jazz genre, and both band members consider him the best guitarist of all time. His brilliance has clearly rubbed off, and the new three track EP ‘Another Plane’ is a real, offbeat, acoustic treat. Specialising in writing songs about everyday problems faced by many, song themes vary from the difficulty of maintaining relationships nowadays, where everyone travels and moves a lot (‘Another Plane’), to everyday situations that can lead to deep contemplation (‘Tonight’). The final track, ‘Never Say Again’, is about the unpredictability of meeting someone special in a massive city like London. With each track boasting different elements which make them special individually, the combination of all three tracks makes for a very consistent release. And it’s all tied together with an acoustic irreverence that really sets them apart from other, more pretentious, peers. It’s an approach that clearly works, with the band already getting the attention of Universal Music Group A&R Manager Fausto Donato. A sign of things to come. This is the first release on Tradiio Recordings, a new record label set up to release the best performing artists on Tradiio, a music discovery app for iOS, Android and Web. Vidal & Curma’s ‘Another Plane’ EP is due for release on August 10th. 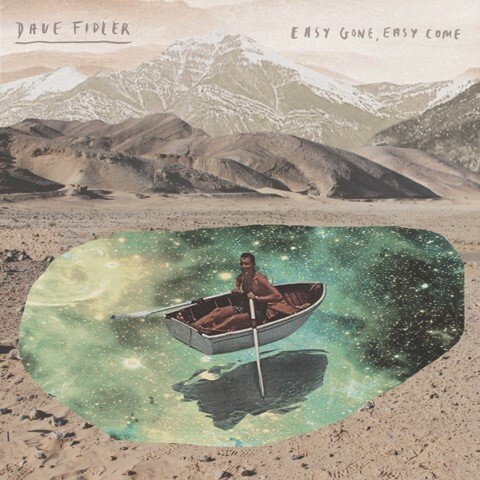 With a live BBC Manchester session and a feature in national Acoustic Magazine already under his belt, Dave Fidler’s previous single ‘Taking Over’ has really started to make waves for the singer-songwriter. Easy Gone, Easy Come, is the title track from the new EP which is set to retain Dave’s upward trajectory come June 1st. Based in the North West, Dave Fidler is a supremely talented acoustic guitarist, whose folk style and intricate finger picking underneath a distinct vocal has the ability to warm and break your heart in equal measure. His songs spin tales we can all relate to, around themes of love, loss and birth – all themes shaped by Fidler’s own personal life over the last year or so. The past twelve months for Dave have been a whirlwind of recording sessions and great shows including Glastonbury Festival, Manchester’s Whisky Sessions festival and a forty date tour of the UK as main tour support to John Bramwell who describes Fidler as “absolutely brilliant”. He has also been featured several times by key tastemaker Tom Robinson of BBC Radio 6 Music. Music is clearly a true passion for the singer-songwriter, who also runs a music school and charity alongside touring. It’s all very impressive work, and with a barge tour of the UK in the works as well as a potential prisons tour at the end of the year, it’s clear to see that Dave is approaching things in a different way. 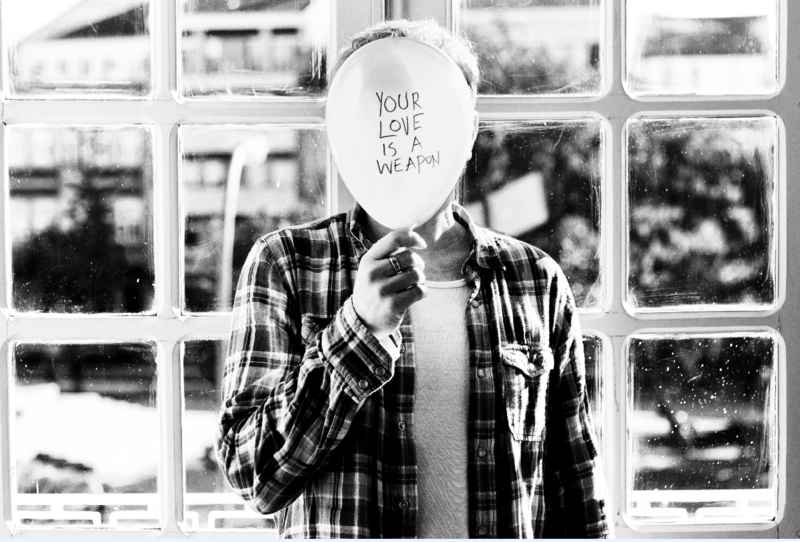 Produced by Sam Jones (Alex Turner, Corinne Bailey Rae) and John Bramwell of I Am Kloot, the EP is just the latest step in what is shaping up to be a very promising music career.